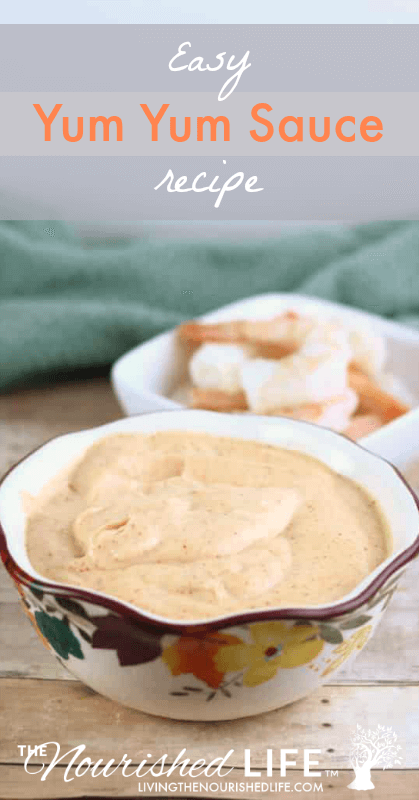 Make this Easy Yum Yum Sauce recipe at home in about five minutes and then enjoy a delicious sauce that tastes even better than the yum yum sauce from your favorite Japanese hibachi restaurant. If you’ve been to a Japanese hibachi restaurant, then you’ve probably had yum yum sauce. 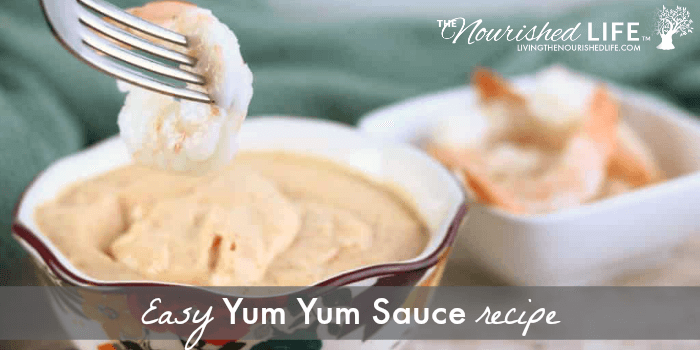 And if you haven’t had it, you’ll definitely want to make this easy yum yum sauce recipe soon so you can try it. Yum yum sauce is so named because, well, it’s yummy. It’s also called seafood sauce, pink sauce, white sauce, or Japanese vegetable sauce. If you’ve never had yum yum sauce, it’s sweet and tangy with a hint of spice. It’s traditionally served with shrimp, chicken, steak, or even fish. It also complements vegetables well, and I’m sure you’ll want to dip anything and everything in this delicious sauce. 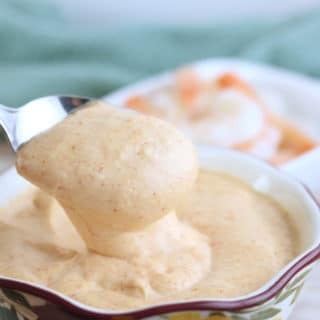 Yum yum sauce also makes a great salad dressing or even a sauce to put on wraps. 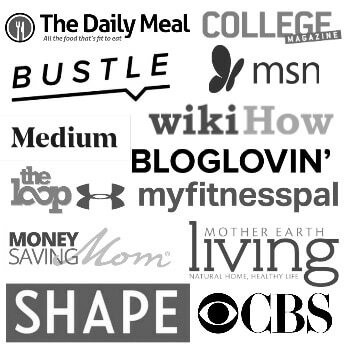 Need more salad dressing ideas? Check out these Greek Salad Dressing, Homemade Italian Dressing, and Homemade Caesar Dressing (without eggs) recipes. The next time you make fried rice or stir fry, drizzle this yum yum sauce recipe on top for a sweet and tangy addition. Not only is this sauce delicious on just about anything, but it’s also really easy to make. It only takes five minutes to make it, but you’ll want to let it chill for at least an hour to give the flavors a chance to really mingle. There are as many variations of yum yum sauce as there are Japanese hibachi steakhouses. After several attempts, this is the recipe that we prefer. The base of the yum yum sauce recipe is always real mayonnaise. I used mayonnaise made with olive oil. I’ve seen varieties made with avocado oil that might also be a good choice. Then you add either tomato paste or organic ketchup. I always have ketchup in my fridge, but I don’t always have tomato paste, so I used ketchup. This would also leave me with over half of a can of tomato paste, so I just prefer not to use it. If you use tomato paste regularly and can use the leftovers, then feel free to use tomato paste. I used an organic ketchup made without dyes or high fructose corn syrup. You also have a choice for the sweetener both in how much to use and which kind. I used agave, but you can use sugar if you’d like. We don’t like ours sweet, so I used less sweetener. If you do use ketchup, use less sweetener because the ketchup already has some sweetener in it. I made this yum yum sauce recipe with regular paprika before, and it’s good, but the smoked paprika makes all the difference. Trust me, it’s worth getting it just for this recipe. I usually mix all of the ingredients together and then add the water so I can control the thickness. We like it pretty thick, but you can certainly add more water to make it thinner. 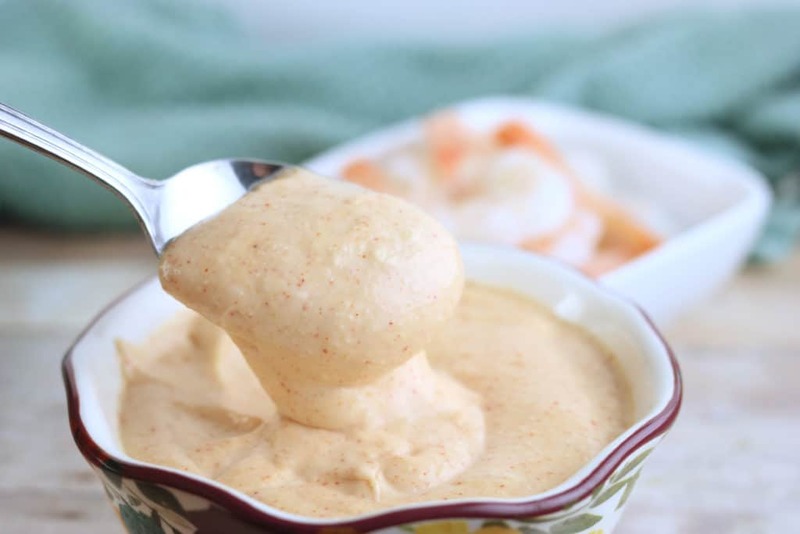 Make this Easy Yum Yum Sauce recipe at home in about five minutes and then enjoy a delicious sauce that takes even better than the yum yum sauce from your favorite Japanese hibachi restaurant. Combine all ingredients in a bowl with a lid. Mix well. Let sit for at least an hour. It’s better the longer it sits. Serve with shrimp, steak, vegetables, fish, or anything else. This should last about a week in the fridge. Feel free to add more of the spices if you want. You can also add some cayenne pepper if you want your sauce spicy.